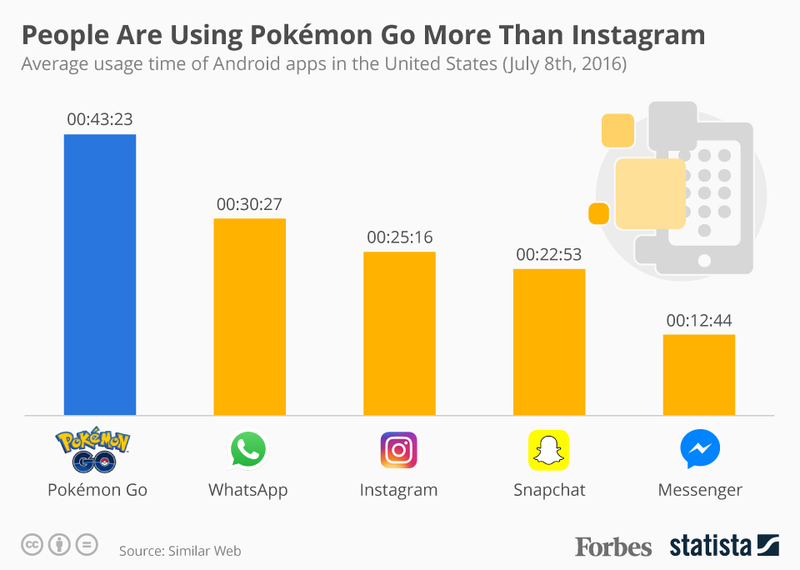 How Popular is Pokémon GO? Insanely Popular. I’m not usually one to jump on bandwagons but Pokémon GO caught me hook, line, and sinker. I might be mixing my metaphors a bit but I think you see my point. Pokémon GO has captured the attention of millions of people around the world of all ages. This has turned into a massive profits for Nintendo and Apple. Although there have been some privacy concerns around the app, I doubt it will do much to stop the stampede of millennials hopping fences to catch that elusive Pokémon. Nintendo has plans to release an armband accessory for $35 that will buzz when a player is near a Pokéstop and to make it easier to capture Pokémon.